See video link https://www.youtube.com/watch?v=ayFG6YWJerI. 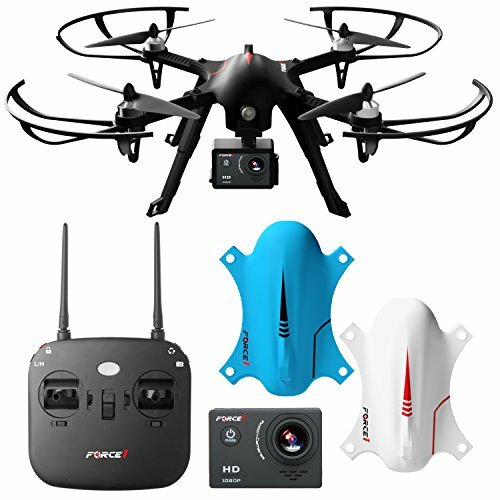 F10++ comes with a 2MP HD FPV WIFI camera 720P for real time live view through your smartphone via the App support both IOS & Android phones. 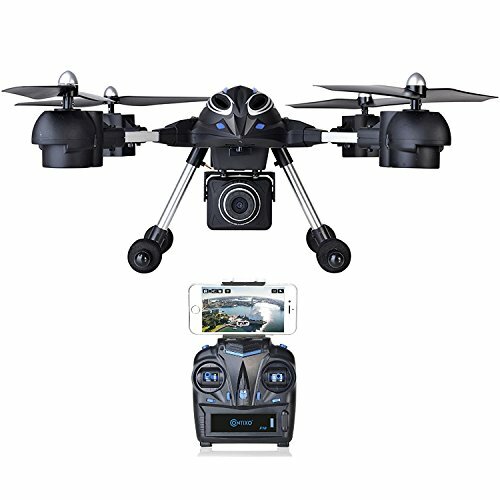 It also compatible with GoPro Hero Cameras. Search ASIN b01n97324s, b01mszapoq, b01n4e7h0b to add the GoPro hero 4/5/session accessory kits into your cart. 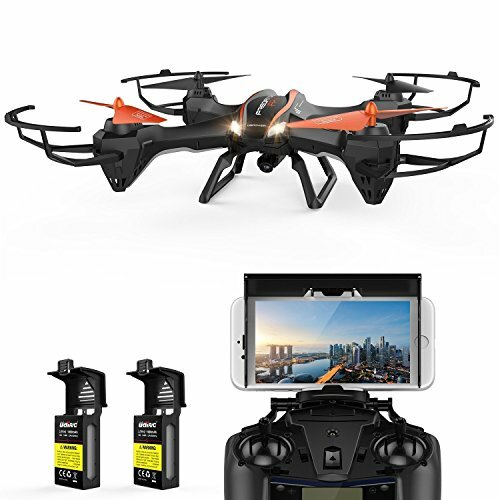 Perfect stunts: the Contixo quadcopter drone can do amazing 360-degree barrel rolls & stable midair hovering. Easy control adjustment for flying left, right, forward backward and sideways. Control the speed with 3 gears slow, medium and high. 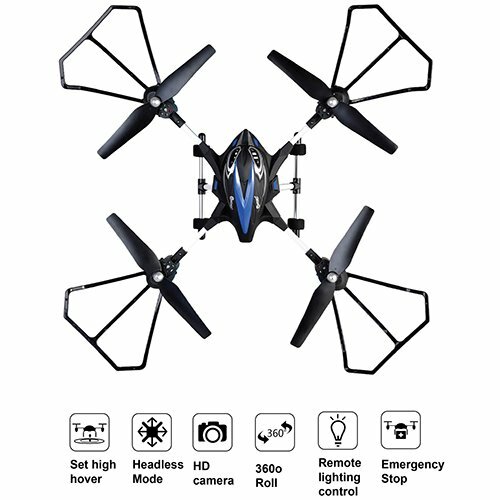 Headless mode: automatically adjust the takeoff forward direction of the F10 quadcopter drone. This enable easy learning and can be used on uneven ground. 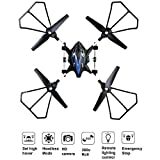 Bright colorful LED lights suitable for flying in the dark at night. Aircrafts battery: 7. 4v 1200mah lithium polymer battery. Longer flight time to enjoy more time flying (up to 15 minutes). 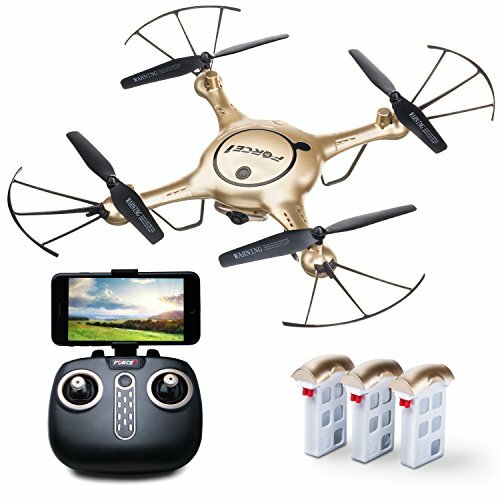 Search ASIN b01n2otwfs for extra batteries. 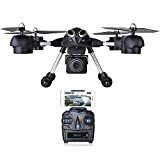 One key hovering feature: the fun and easy hover feature allows users to automatically stop the quadcopter drone mid-flight also allowing for perfect pictures and videos. Carrying one year US based manufacture warranty with live customer services and technical support 7/24!